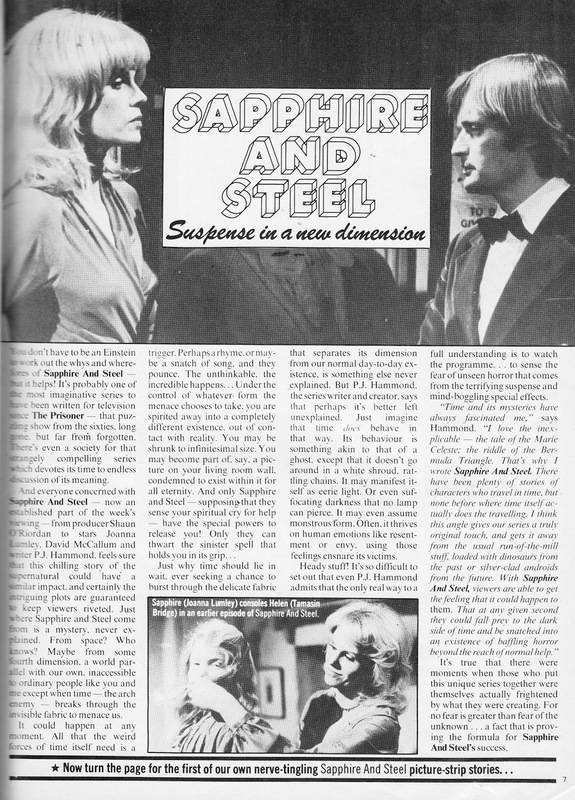 From August 1979: SAPPHIRE AND STEEL make their LOOK-IN debut. 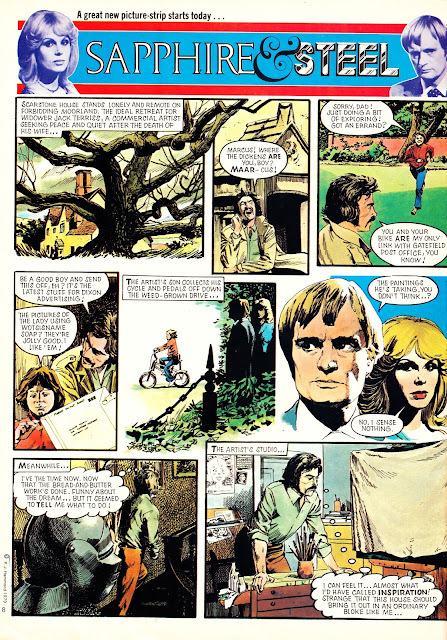 The strip was written by Angus Allan and illustrated by Arthur Ransom. It enjoyed a long, albeit not continuous run, through to 1981. 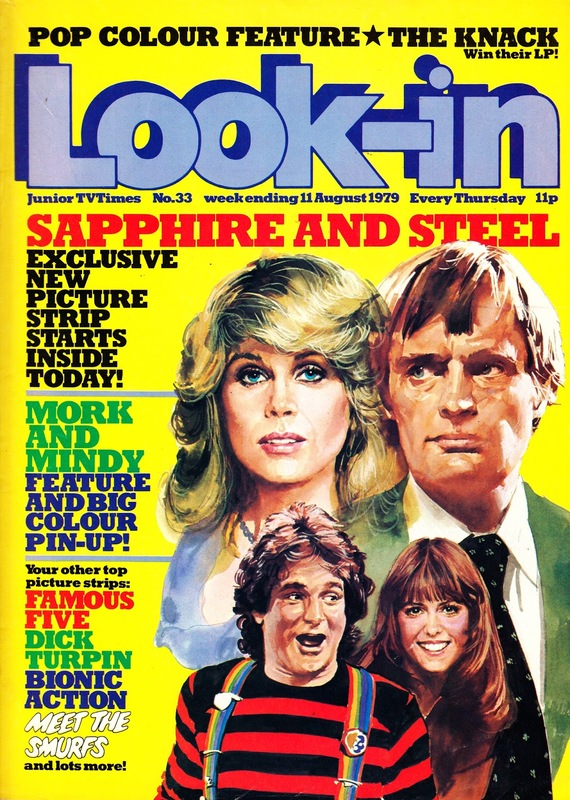 The sporadically scheduled show ran for another year, ending in August 1982. As with almost all the strips that appeared during Look-In's long (and, generally, illustrious) run, the S&S material has never been reprinted or collected. The TV show (produced by ATV at their Elstree studios for networking on ITV) made its screen debut a few weeks earlier on the 10th July. The 1979 run was interrupted, during the second story (the memorable... albeit slow... adventure set in an abandoned railway station), by the national ITV strike which blacked out the entire network (save for little Channel TV).